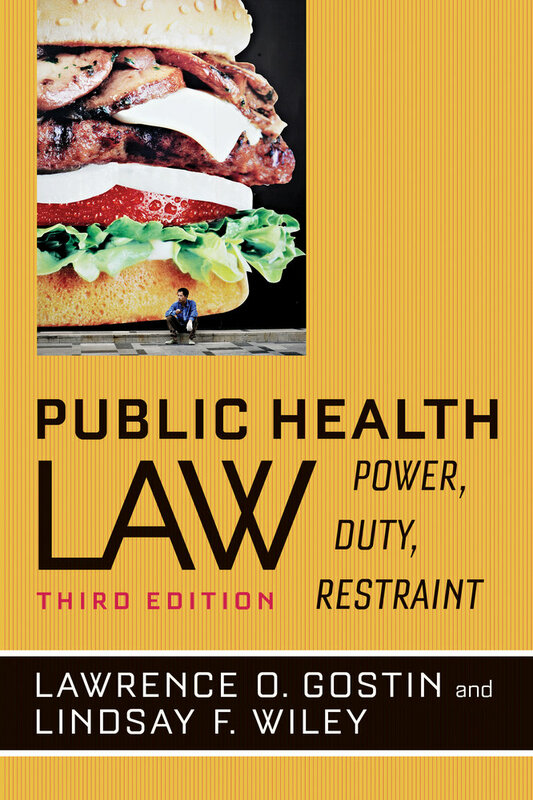 Lawrence O. Gostin’s seminal Public Health Law is widely acclaimed as the definitive statement on public health law at the turn of the twenty-first century. In this bold third edition, Gostin is joined by Lindsay F. Wiley to analyze major health threats of our time such as chronic diseases, emerging infectious diseases, antimicrobial resistance, bioterrorism, natural disasters, opiod overdose, and gun violence. 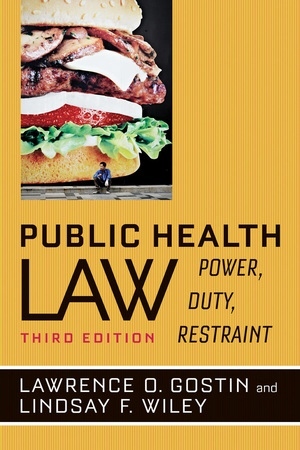 The authors draw on constitutional law, administrative law, local government law, and tort law to develop their conception of law as a tool for protecting the public’s health. The book creates an intellectual framework for modern public health law and supports that framework with illustrations of the scientific, political, and ethical issues involved. In proposing innovative solutions for the future of the public’s health, Gostin and Wiley’s essential study provides a blueprint for public and political debates to come. • Corporate personhood rights raised in response to regulations of tobacco, food and beverages, alcohol, firearms, prescription drugs, and marijuana. • Local government authority to protect the public’s health. • Deregulation and harm reduction as modes of public health law intervention. • Taxation, spending, and alteration of the socioeconomic environment as modes of public health law intervention. • Access to health care as a strategy for protecting the public’s health. • Taxation, spending, licensing, zoning, and shared-use strategies for chronic disease prevention. • The public health law perspective on violence and injury prevention. • Health justice as a framework for reducing health disparities and protecting the public’s health. Lindsay F. Wiley is Associate Professor at American University’s Washington College of Law. She serves on the Board of Directors of the American Society for Law, Medicine, and Ethics and on the National Conference of Lawyers and Scientists. Thomas R. Frieden is the Director of the U.S. Centers for Disease Control and Prevention and Acting Administrator of the Agency for Toxic Substances and Disease Registry. Step 3: Is the Regulation Cost-Effective? A Case Study on HIV Screening: Public Health and Civil Liberties in Conflict?